I drive down the empty morning streets when a neon orange sign beckons me. Black, bubble letters proclaim, “Garage Sale” and a large arrow points uphill. On a whim, I make the turn. I park and stroll a driveway lined with beat-up tables. Knick-knacks, kitchen gadgets, scarred frying pans, and other junk cover the tabletops. I thumb through old issues of “Life” magazine that stand upright in a dilapidated cardboard box. The last item is a gallon Ziploc bag filled with vintage postcards. Intrigued, I pay a buck and return to my errands. A few hours later, I sit staring at the Ziploc bag while I carefully sip a hot cup of Sumatra. I open the plastic pouch and fall into the world of Miss Rose Bonacich aka Mrs. Rose Lepetich. These quaint cards, decorated with vintage art and photographs, reveal short, taut messages in elegant, cursive script. A glimpse of Rose’s life appears as I read the short notes from her friends, lovers, acquaintances and relatives. Holiday greetings, proposed get togethers, and romantic lines fill the flipside of the small cards. 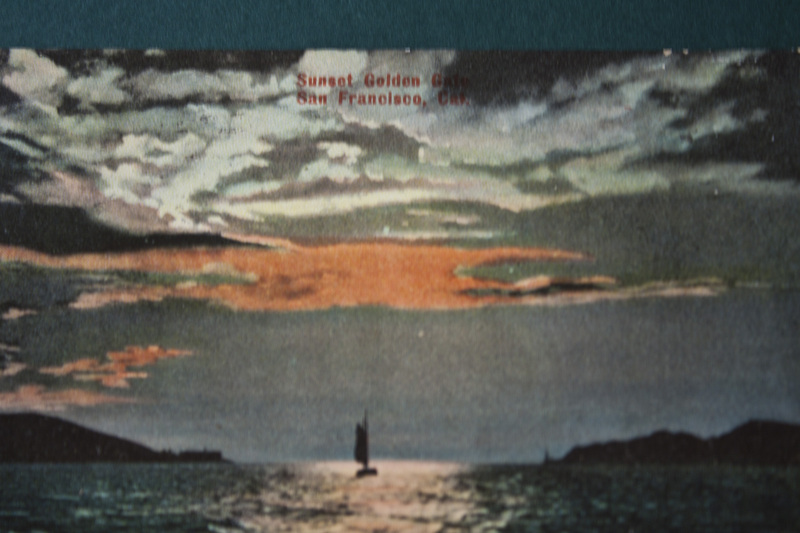 Cards depict a foreign city named “Trebinje,” and familiar landmarks such as Yosemite and the Golden Gate, recognizable even without its trademark bridge. 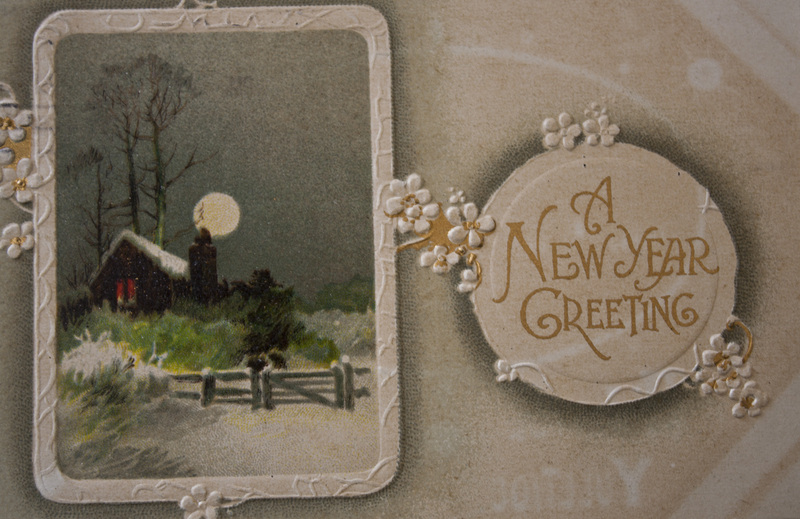 Notes include 1911 New Year greetings from Rose’s friend, Frances. Ella, another friend, chastises Rose for not answering her “ring” and reminds her that they are “putting up pickels” the next day. 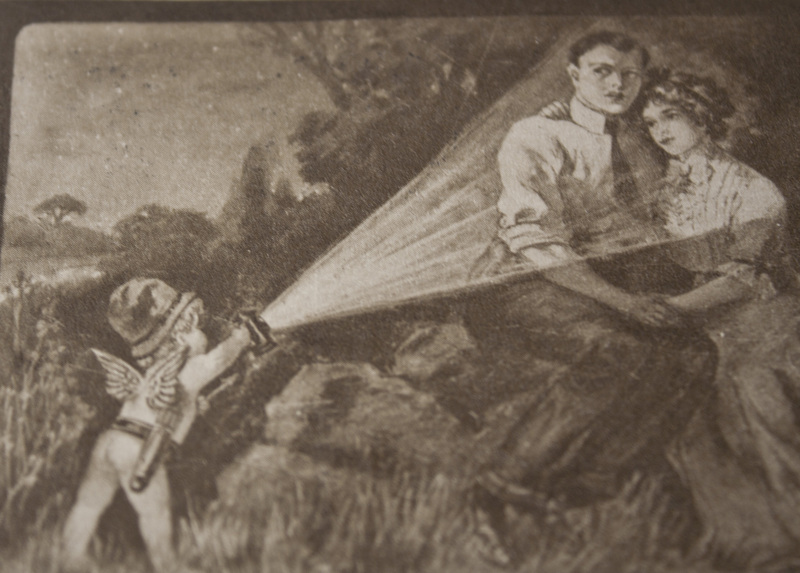 Two months later, another beau, F. M. Doan, light-heartedly writes Rose about her marital status. He acknowledges his continued singlehood. 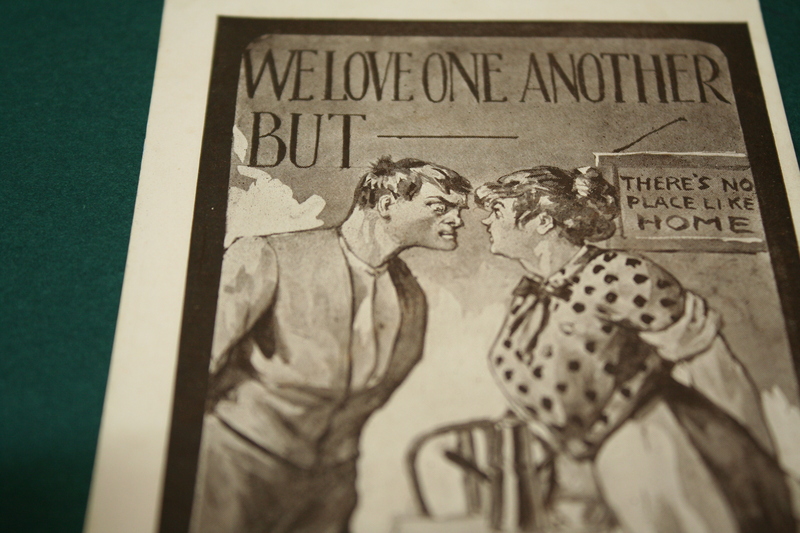 The teasing tone of his note contrasts with the picture of an angry man and woman confronting each other. The headline: “We Love One Another But____.” Mr. Doan ends his card with “Write me.” The underlying message: marriage is not the answer and Mr. Doan is still available. 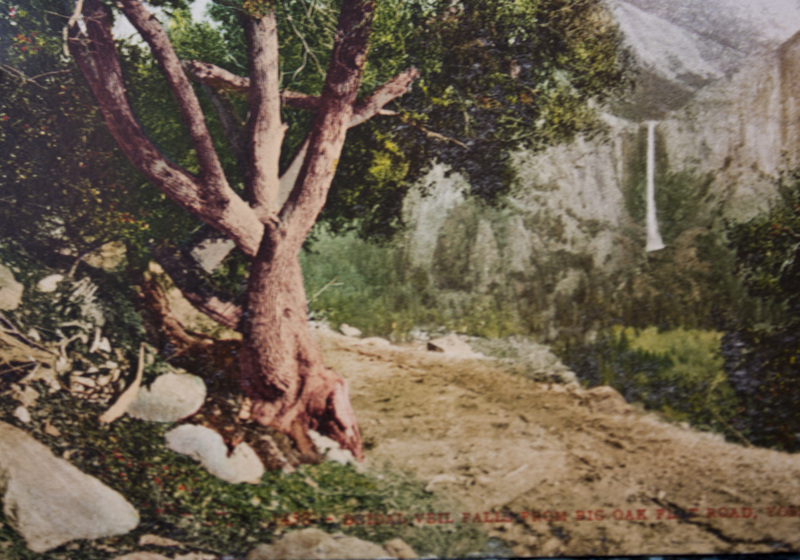 The capricious purchase of a Ziploc bag of vintage postcards launched me on a creative journey. 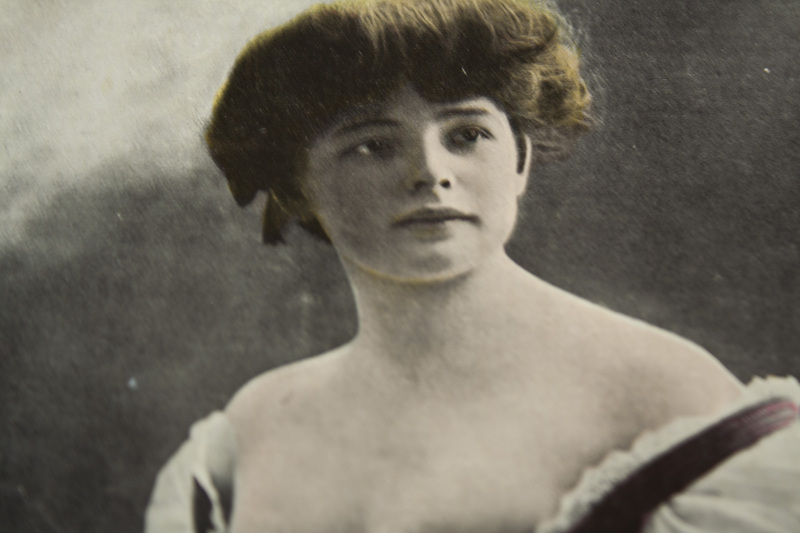 I read the cards, studied the photographs and artwork, and imagined a young woman’s life in 1909. The postcards act as that era’s tweets: short, punchy writing conveying the writer’s momentary thoughts. Will our tweets, posts, and texts intrigue readers in 2112? What do you think, Rose?